Back from a 3-year contract touring Europe, Iddi Achieng performed last May in Nairobi, once again warming the hearts of music buffs with her unctuous melodies. Always full of vitality, she interprets songs in Dholuo and Kiswahili. My music is informed by my Luo and Kenyan culture. I sing 90% in Luo to fully express myself and the other bit in our Kenyan national language [Swahili] to pass important national social messages. I speak to Kenyans about their culture through music because I am also Kenyan so I know what Kenyan culture is. Today, we celebrate International Translation Day honouring translators and the work of translation on the feast of St Jerome, who is considered the patron saint of this profession. This event was initially promoted by the International Federation of Translators (FIT) as early as 1953 before its worldwide appeal gave rise to the 30th September as International Translation Day in 1991. Indeed, one of the most important activities that help people of diverse ethnic origins and different political and cultural backgrounds to communicate is translation, a distinctive feature of which is the crossing of the boundaries between Self and the linguistic and cultural Other. In other words, translation, as intercultural communication, is a means of transporting the ways of life, customs, attitudes, mindsets and values of one particular culture across time and space to another culture or other cultures. Facilitated by the major changes and shifts in the global economy, culture and information technology in the last three decades, we now have a radically altered linguistic, socio-political and cultural context for intercultural communication. If “to be or not to be … global” is hardly a question for people and nations in the contemporary era, then “to live or not to live … in translation” is no longer an option but a reality of our everyday life. As brokers of peace and mutual understanding, FIT members will, in various ways and through different channels, celebrate International Translation Day (ITD) 2012 with the theme of “Translation as Intercultural Communication”. This is an occasion to salute the remarkable work accomplished by translators in Africa and around the world, which too often goes unacknowledged. A series of conferences and other events have been taking place over the weekend in London, Dublin, Thessaloniki, Manila, Yaounde, Cape Town, Johannesburg…and several other cities! 35. There is no such thing as the “perfect translation”. 36. Nabokov hated translation and tried once to translate one of his own novels into English, with hilarious results (he did it word-for-word). 37. Goethe said that translation is the most noble profession. 66. There is no such thing as an ugly language. 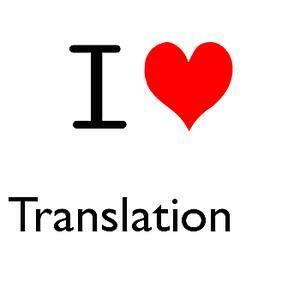 Happy International Translation Day to everyone! This post by Oumar Bah is a follow-up on “Kikuyu: colour spectrum and kikuyunised words” which dealt with the expression of colours in Kikuyu, a language spoken in Kenya. In Peul language (referred to by its speakers as pulaar or fulfulde), colour is expressed by means of adjectival roots. These are placed after the substantive with which they agree in gender (or rather, in noun class) and in number. Here, Pulaar functions like most Niger-Congo languages and in particular like Bantu languages. The basic colours are thus: black « ɓale- », white « rane- », red « woɗe- », yellow « ool- », green « haako- », grey « fur- ». The adjective « haako- » – contrary to the other colour words above which are adjectival roots – is a secondary adjective formed from the substantive of the noun meaning leaves, canopy. (The link between the colour green and plants is present in many languages around the world). For the ‘O class, we would have for example « boɗeejo », a light-skinned man (literally: a red person). It is worth noting that the initial consonants of certain adjectives change, for example /w/ → /mb/ or /f/→ /p/. One may also notice that the colour blue is traditionally unknown, which is the reason why Pulaar resorts to words borrowed from English or French, namely mbulu- or bule, depending on the region. As a matter of fact, many world languages do not distinguish between green and blue. At first sight, the Pulaar colour spectrum may seem limited in comparison to European languages for instance. The perception of colours is first and foremost a cultural phenomenon. Thus, if we consider the colours of cows fur, the vocabulary of this pastoral people is enriched with nuances, many of which have no equivalent in French or English. As a way of example, we may mention « wane » a brown cow, « lahe » a cow whose fur is completely black, « naawe » a cow with an ochre fur, « saye » a cow whose fur is completely white, « sirge » a white cow with small black spots, « terkaaye » a cow whose fur is light brown, « saaje » a cow whose fur is black with a white stripe on the belly, « doobaaye » a cow whose fur is light grey etc. Examples abound. However, moving away from livestock terminology, the colours brown, pink and orange are assimilated to red in Pulaar. We would thus say « tuuba mboɗeha »for brown trousers (using the adjectival root « woɗe- » meaning red, see above). This confirms our above claim pertaining to the cultural dimension of colours. Ce billet d’Oumar Bah fait suite à “Kikuyu: colour spectrum and kikuyunised words” qui portait sur l’expression des couleurs en Kikuyu, une langue parlée au Kenya. En langue peule (appelée par ses locuteurs pulaar ou fulfulde), la couleur est exprimée par des racines adjectivales. Ces dernières se placent après le substantif et concordent avec lui en genre (ou plutôt en classe nominale) et en nombre. Le pulaar fonctionne ici comme une bonne partie des langues de la famille Niger-Congo notamment les langues bantoues. Les couleurs de base sont donc : noir « ɓale- », blanc « rane- », rouge « woɗe- », jaune « ool- », vert « haako- », gris « fur- ». L’adjectif « haako- » est, à l’opposé des autres ici qui sont des racines adjectivales primaires, un adjectif secondaire obtenu à partir du substantif de même nom signifiant « feuillage » (l’association entre la couleur verte et les plantes se rencontre dans beaucoup de langues du monde). La classe O donnerait par exemple « boɗeejo » un homme au teint clair (littéralement : un rouge). À remarquer que les consonnes initiales de certains adjectifs changent, par exemple /w/ → /mb/ ou /f/→ /p/. À noter aussi que la couleur bleue est traditionnellement inconnue, raison pour laquelle le pulaar a recours ici à des emprunts, selon la région, à l’anglais ou au français, soit : mbulu- ou bule. En fait, dans beaucoup de langues du monde, il n’y a pas de distinction entre le vert et le bleu. Le spectre des couleurs en peul peut sembler limité à première vue, comparé par exemple aux langues européennes. La perception des couleurs est avant tout un phénomène culturel. Ainsi quand on considère les couleurs du pelage des vaches, le vocabulaire de ce peuple pasteur s’enrichit de nuances dont beaucoup n’ont pas d’équivalents en français ou en anglais. Citons, à titre d’exemples : « wane » vache au pelage brun, « lahe » vache au pelage tout noir, « naawe » vache au pelage ocre, « saye » vache au pelage tout blanc, « sirge » vache au pelage blanc avec des petites taches noires, « terkaaye » vache au pelage tout marron clair, « saaje » vache au pelage noir avec une rayure blanche sur le ventre, « doobaaye » vache au pelage tout gris clair etc. Les exemples pourraient être multipliés. En revanche, si nous quittons le domaine de la terminologie de l’élevage, les couleurs brun, rose et orange se confondent en pulaar avec le rouge. Ainsi on dirait par exemple « tuuba mboɗeha » pantalon brun (racine adjectivale « woɗe- » rouge, voir en haut). Ce qui confirme ce qui a été dit plus haut : la dimension culturelle de la couleur. This is the third post of a series aiming at humorously outlining the differences between the way Kenyans and Tanzanians express themselves in Swahili. One endearing feature of Tanzanian (and, as far as I’ve seen, coastal) Kiswahili is the use of kinship terms. A waitress will be ‘dada‘ (sister), a taxi driver ‘Mjomba‘ (uncle) or ‘Baba‘ (Dad) if he is older or ‘kaka‘ (brother) if he is in the same age group as you are. An older person would address me as ‘mwanangu‘ (my child) etc. As I was pointing out in an earlier post, establishing a connection with one’s interlocutor is one of the unspoken objectives of conversation and as such, it goes well beyond the content that one is to communicate. Being a ‘mama‘ (mother) or a ‘bwana‘ (Sir)* situates one’s position in society – with all the dignity attached to it – but also relatively to the interlocutor who directly acknowledges the bond as well as the boundaries by using appropriate kinship terms. Going back to the initial argument, seen with Tanzanian eyes, Kenyans may seem cold and distant in the way they express themselves in Kiswahili. Similarly, Kenyans will consider the ‘formal familiarity’ peppering Tanzanian Kiswahili to be a tad overbearing and odd if not altogether a waste of time. Let me just say this about Nairobians; they do not burden themselves with cumbersome courtesies and expressions that go along with them. Saying ‘Tafadhali‘ (Please) is already going out of one’s way to request for something. As far as orders are concerned, pretty much anything goes: on the more polite end, we would have ‘niletee‘ (Bring me…), ‘nipe’ (Give me…), ‘nisaidie na‘ (Assist me with…) all the way down to ‘leta kachumbari‘ (Bring salad! – quite rude). The reason why Tanzanians may appear to border on the obsequious is that they take politeness very seriously. The sesame to asking for anything is ‘naomba‘ (literally, I beg or I pray) associated with the subjunctive tense: a huge contrast to Kenya, where this phrase is taken to mean that one wishes to get something for free! So if we take the previous example, after the mandatory greetings, you would go ‘naomba kachumbari‘ or ‘naomba uniletee kachumbari‘ (literally: I beg you to bring me salad). If you just walked into a restaurant bluntly ordering ‘leta…‘ you would most certainly be met with dumb-founded stares and a pout on the waiter’s mouth. I have to say that the first time someone in Kenya asked me to come over by saying ‘Kuja‘, I was stuck between showing them my back and putting them in their place with an eloquent 5-minute speech. In the end, I did neither…See, I had learnt that the proper way to call somebody was ‘Njoo‘ while ‘Kuja‘ was quite rude and should be confined to calling your dog for instance. Apparently, not many Kenyans are aware of the nuance so I had to adjust but I have never come around to letting go of ‘njoo‘ myself. From my observation, all these verbal niceties, essential to maintain smooth relations in Tanzania, tend to irritate Kenyans. Cultural mishaps, they said? *It is to be noted that ‘Bwana’ or ‘Bwana mkubwa’ has colonial undertones as this is what white settlers used to be addressed as.